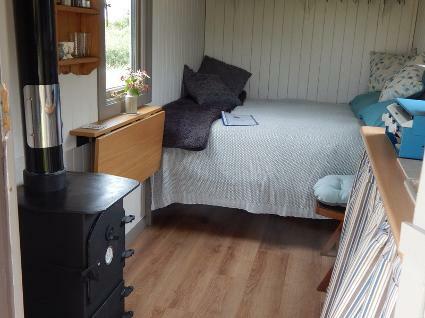 Cosy Shepherd's Hut with sole occupancy in 3.5 acre wildlife meadow in rural North Cornwall. Dog friendly, sleeps two with room for 2 person tent in same party. Fabulous views, separate shower and wash up facilities, compost loo, firepit. Complete privacy in this quiet location.